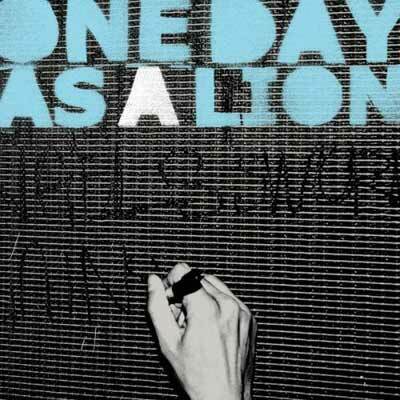 As a preface, I would like to state that the following words concerning One Day as a Lion’s self-titled EP are completely biased. When I heard Zack de la Rocha was making his return to the studio, I was up and out of my seat faster than you could say “Rage.” Hardened Rage Against the Machine fans may have anxiety about de la Rocha’s departure from the pivotal political band of the ’90s, but Jon Theodore (The Mars Volta’s drummer and the second half of One Day as a Lion) has ensured that this new project has the potential to transcend just as many boundaries as Rage did. Still skeptical? Then direct your attention to the EP’s first single, “Wild International,” which combines Justice-style electro tones with de la Rocha’s signature lyrical mastery. Backed by one of the heaviest drummers known to progressive rock, this combination adds up to a new sound for a politically diseased era.